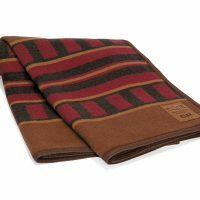 Kanata has the exclusive license to produce a series of Canadian Pacific throws, including the Sleeping Car Wool Blanket. Canadian Pacific Railway (CPR) bound the Canadian nation together on November 7, 1885, completing Canada’s first transcontinental railway. Today, Canadian Pacific operates 22,400 km (13,900 miles) of rail line in Canada and the United States. The Sleeping Car Wool Blanket is made with an Italian Jacquard wool that captures the richness of color and design of the original. This blanket is bordered with double-stitched, hand-sewn complementary felt edging. It is then hand trimmed for the ultimate finished look, making it a beautiful and unique gift. Made in Canada from Italian wool. In 1908, Canadian Pacific registered the industrial designs of several unique sleeping car blankets with the Government of Canada’s patent and copyright office. Considered to be one of the best, CP’s Standard Type 3 blanket was a simple, durable and attractive design that was used extensively on the company’s world-class fleet of sleeping cars. View our other wool blankets. Dry cleaning recommended. Can hand wash cold. Hang to dry. Do not bleach. 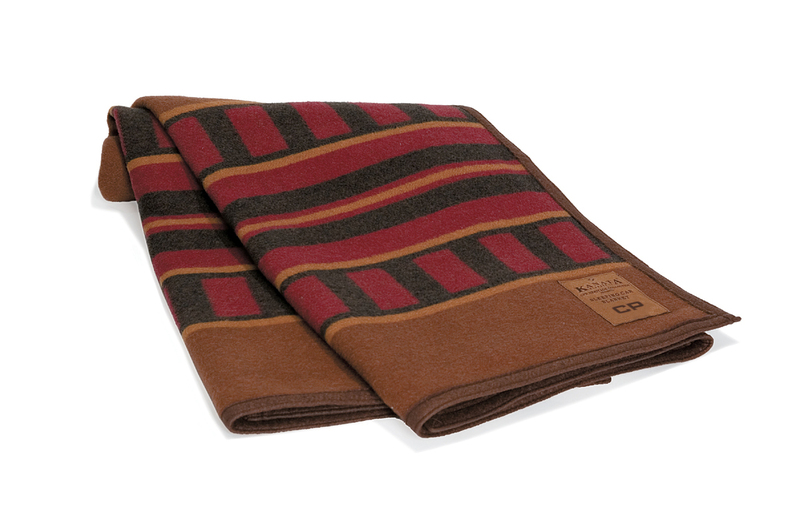 Featuring the sleeping car design unique to the Canadian Pacific, this luxurious blanket is bordered with double-stitched, hand-sewn complementary felt edging and then hand trimmed for the ultimate finished look. Available in two sizes: 40″ x 60″ | 60″ x 80″. 45% acrylic / 25% wool / 25% polyester.